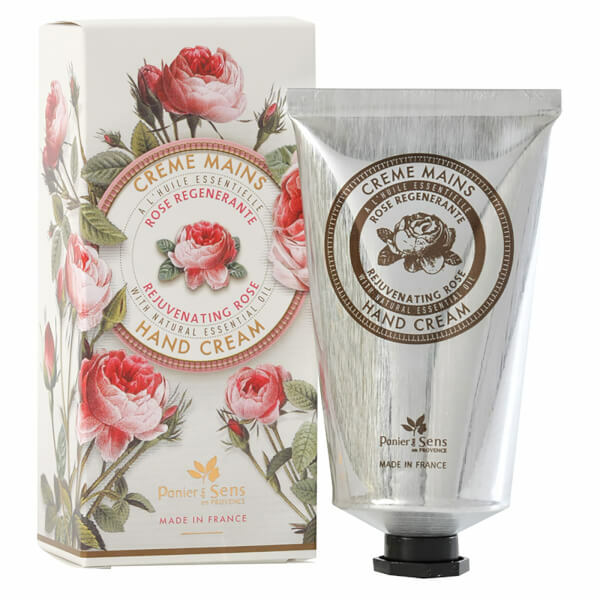 Soothe and soften hard-working hands with Panier des Sens The Essentials Rejuvenating Rose Hand Cream, a silky formula that protects damaged and dry skin. Powered by 20% Shea Butter, the nourishing moisturiser absorbs instantly to soothe any irritation and restore soft, supple and smooth skin. Fragrant Rose Essential Oil firms and tones the hands whilst support the natural regeneration of the skin, leaving behind comfortable, youthful and healthy-looking results. Aqua (Water), Butyrospermum Parkii (Shea) Butter, Glycerin, Propylene Glycol, Cetearyl Alcohol, Olea Europaea (Olive) Fruit Oil, Glyceryl Stearate, Peg-100 Stearate, Ceteareth-33, Talc, Rosa Damascena (Rose) Flower Oil, Parfum (Fragrance), Xanthan Gum, Polyacrylamide, Caprylyl Glycol, Chlorphenesin, C13-14 Isoparaffin, Ethylhexylglycerin, Allantoin, Laureth-7, Tocopheryl Acetate, Citric Acid, Sodium Hydroxide, Tocopherol.